If you wish to move from an on-premises Exchange server to an online server like Office 365, you are at the right place. 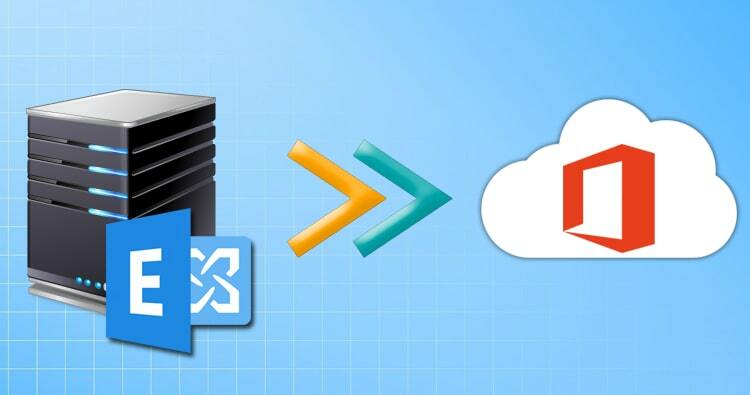 Here you will find out everything you need to know about the process of cutover migration from an on-premises Exchange server to an online/cloud-based service like Office 365. It is generally believed that to migrate Exchange to Office 365 is a complex process that not many can do. However, with the right skills and knowledge, you can easily deploy your on-premises Exchange to an online or cloud-based service. Microsoft readily offers a method called “Cutover migration”, through which you can Migrate Exchange to Office 365 yourself. It is a quick way to move yours on premises Exchanger server to Office 365. But before we discuss more about how to perform cutover migration to migrate Exchange to Office 365, let us find out more about cutover migration and if it is even right for you. The first thing that determines if you are eligible to migrate Exchange to Office 365 via cutover migration is the size of the organization. This process is not recommended for large organizations since this process has its size limits. It is said that Microsoft guidelines allow fewer than 2000 mailboxes to be migrated. However, Microsoft advises that cutover migration should be followed by organizations with fewer than 150 mailboxes. There is another aspect that you need to understand before getting involved in cutover exchange to office 365 migration. You should be sure that you don’t want to keep any of the mailboxes on premises. This is because cutover migration will transfer every mailbox to the online server and decommission the on-premises mailboxes. Cutover Migrations are available in Exchange server versions 2003 and above. However, this should not be a huge problem since most of the people are using later versions of Exchange. If you want to perform cutover migration, you have to add your current domain name to the online server/Office 365. You have to prove that you actually own the domain. You have to do this by adding a TXT record to your DNS server. The process can be painless or not depending on your experience. Since this verification process can take long, make sure you have this sorted before you begin the transfer. This is a simple thing that most users forget when they migrate Exchange to Office 365 via the cutover migration method. We are moving from an on-premises service to a subscription-based service like Office 365. Your existing Exchange licenses will not apply to the office 365 client so you need a subscription for each mailbox that you transfer. In conclusion to the cutover migration process, it is recommended that you take a lot of time in your hand before you begin. This does not happen in a few hours. So keep a weekend aside after you have done the prerequisites. You have to create a vacant mail-enabled security group in Office 365. If you don’t know how to do this, follow these steps. If you still don’t get it, you can find out how to do this right here. After you have created a receiving point, you have to link your Office 365 to the on-premises Exchange server. Now, choose “Cutover Migration”. In the page that follows, you will see the info of your endpoint. If you need access to your migrated mailboxes, you will need Office 365 license permissions. If you don’t know how to do this, you can find out by clicking here. This is the final step where you need to re-route your domain so that the mails that are send or received are taken through the new passage. Here is how to re-route your domain from Exchange server to Office 365. This was the cutover migration process to Migrate Exchange to Office 365. If you have come so far, you have now some understanding of what it takes to shift your on-premises Exchange server to Office 365 manually. You might have realized that it takes a lot of time and effort to do this manually. If you want to migrate your Exchange to Office 365 automatically without wasting time or taking any risks, this professional tool is the ideal choice for you. The Shoviv Exchange Migration tool was created to streamline the migration from all versions of Exchange to Office 365. This tool does not have any size limitations so even large organizations can fearlessly migrate Exchange to Office 365. 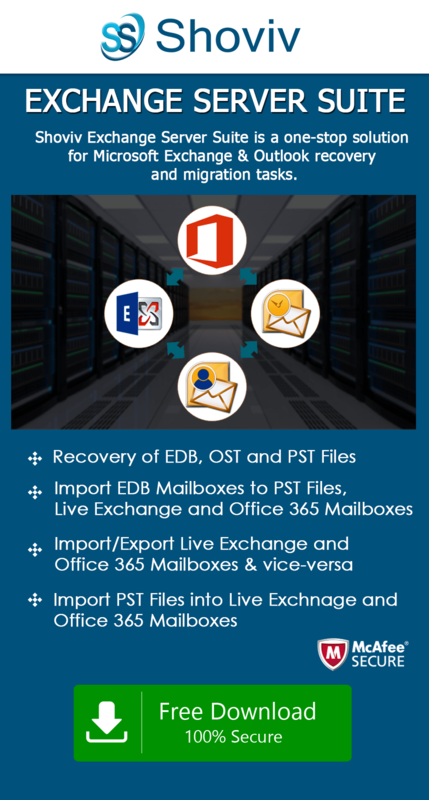 The tool is powerful and so easy to use that even first time users are able to migrate their EDB files, Outlook Stores, Live Exchange mailboxes, Office 365 mailboxes, etc into Live Exchange (On-premises), office 365 and Outlook PST files. If you are interested, you should get the free trial of this Exchange to Office 365 migration tool. The free trial of the tool allows you to transfer first 50 items per folder so that you can be sure that it works for you. The free trial offers all the benefits of the full version for a limited time. Once you are sure that this tool is right for you, you should upgrade to the full version at an affordable cost. This is the best solution for Exchange to Office 365 migration that you can get. To download the free trial of the tool, click here.